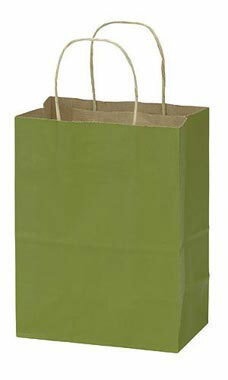 Your customers will love leaving the store with these Rain Forest Paper Shopping Bags. Add tissue paper, ribbon, or raffia and the ordinary shopping bag is transformed into a beautiful gift bag. They are made of tear-resistant paper, feature side gussets, and have twisted rope handles at the top, which makes it easy for customers transporting their purchases home. Sold in cases of 25.